Just how rich can you get? Making money is your sole ambition in this detailed railroad-era simulation. Make a series of decisions that determine how your rail corporation will become profitable, then invest your proceeds in the stock market and see where the ride takes you. Lay tracks, expand territory, and much more! 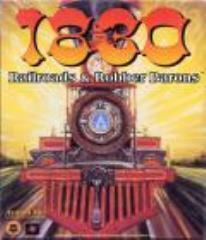 Based on the popular board game of the same name, the PC version takes place in southern Canada and the northeast United States. Up to six players can get in on this historically accurate experience.